CGW’s famous TR-PIN floating trigger pin - inner diameter please? At the end things looked nice and I polished the smaller center diameter with 1200 grit sandpaper. I tried it and it seems to work. My trigger pin's original diameter is 2,2 mm and the smaller inner section ist now 1,6 mm. While it seems to work nicely I am curious about the inner smaller diameter of the original CGW’s famous TR-PIN floating trigger pin. Could someone please measure that diameter for me? Re: CGW’s famous TR-PIN floating trigger pin - inner diameter please? 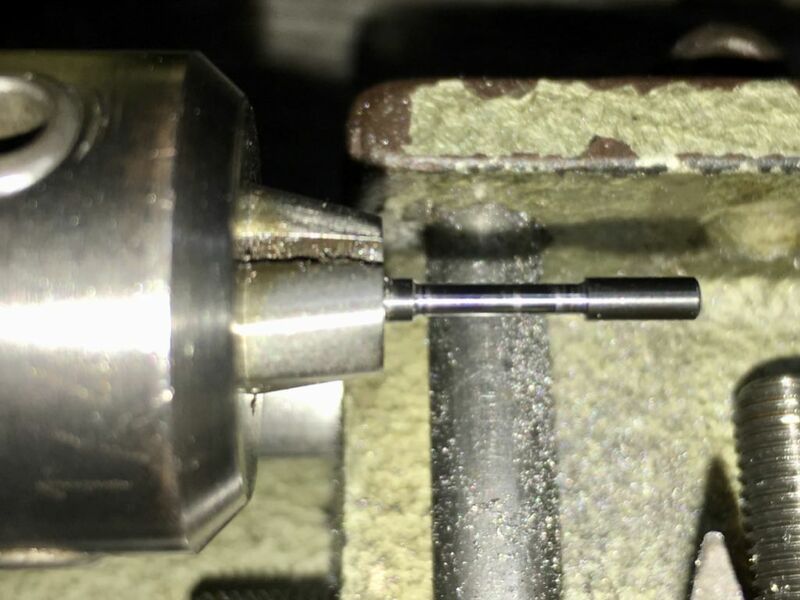 The center/smaller diameter of one of my CGW CZ75 floating trigger pins is (0.072 thou) or 1.8288 mm. The larger ends are (0.086 thou) or 2.1844 mm. Neat project, it looks like it went well. CGW parts will be available late summer 2018 Europe. We have paid our ITAR fees and submitted our aplication. We are merely waiting on the ITAR approval letter. Will you be able to ship to Australia too? We should be able to ship globally. Including Australia. Awesome. If you are looking for a distributor I can recommend PBA Imports (the main CZ importer here). This sounds good. On one hand there are two or three extremely competent pistolsmiths in Germany alone converting the CZ 97 to highly tuned top precision match guns. But on the other hand there are no tuning kits available I am aware of. One can buy original parts from CZ and fine tune the sear. But you have to do it yourself or rely on the local gunsmith. Unfortunately the combination of "local" and "competent" seems to be surprisingly rare. Still I have to say tuning a cz trigger is quite a simple process compared to a 1911 trigger job. All trigger components are easily accessible inside the gun and one does not need a bunch of sear jigs one preset for the sear and one for the hammer. And I have to say it is fun too. Thank you very much for measuring the diameters. So out of sheer luck or maybe instinct I got the diameter almost right. As these pins are normally disposable I do have several of them on stock. So probably I will turn down another one to the gradually bigger diameter you provided. But there is one additional question: The CGW pin seems to be considerably longer than the original CZ97 trigger pin. How long is its overall length? And why is it so long? Can it be removed without tools due to the additional length? It really did work out very well. 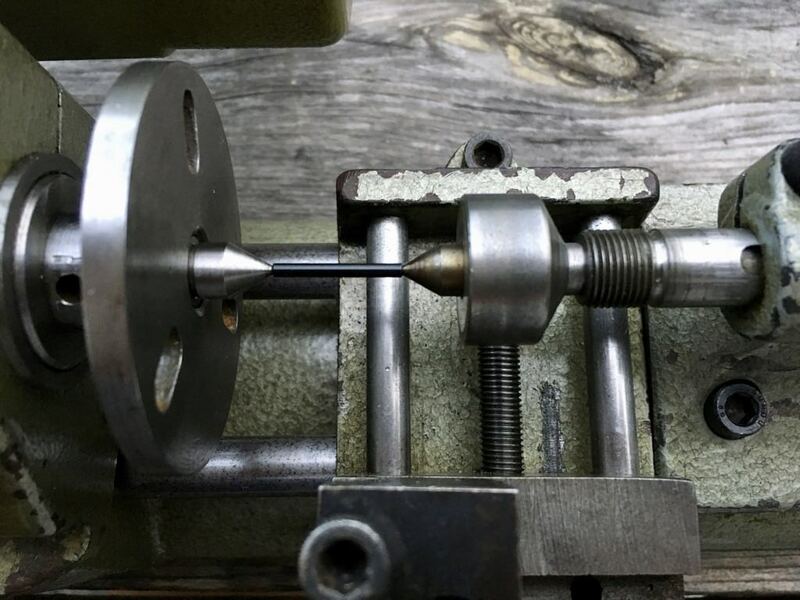 And it was fun figuring out what to do and then doing it using a lathe probably older than I am. The trigger feels very nice without any play. 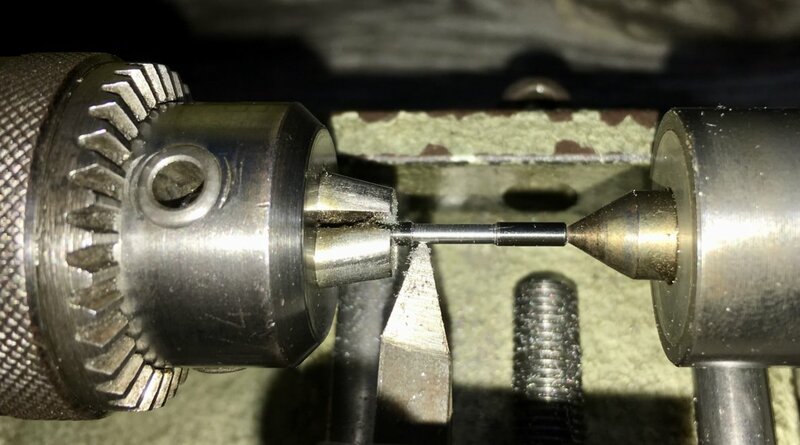 As the pin is the short original one I do still need some tool to push it out but it is easy. The pin stays securely set after maybe 250 shots fired since modification. The length is (0.750)+/- 0.005 or 19.05 mm, i believe that this is close to the CZ factory trigger pin. It dose require an appropriate sized punch or similar tool to remove it. If it were significantly longer i assume that it might be more easily knocked out of position unintentionally. At its standard dimensions i have never heard of one moving out of position unless it was intentionally pushed out. Also of note is that the ends are rounded, i assume that this is to ease installation and because it floats this may also avoid damage to the trigger pin frame holes. Please keep us informed here in the cz forum about the availability of CGW Part in Europe. We will. We already have a very experienced person (that has ironically visited Germany this year) that is going to handle the European distribution. Tok36 is correct with his dimensions on the pin. One thing to watch is the base material, we originally used 1214L, which was not the best choice (many years ago), then we went to 0-1 tool steel that was much, much, better (discontinued the use of 0-1 about 3 years ago). However, we did considerable research and testing and found the absolute best material is S-7, which has proven to be virtually indestructible. S-7 is simply amazing, but is tougher to work with. Keep in mind the correct heat treat is critical, even with S-7. I wish you success with your business. As I am somewhat active in Forums over here it should be relatively easy monitoring what is going on and how and if your products penetrate the market. The gun markets are more or less national over here and therefore quite segmented. I for instance know absolutely nobody shooting a CZ 97 except myself. And I stumbled over the gun by sheer chance. Or maybe it was bad luck. We will see. Very few people shoot CZ in the usual precision matches. I know two shooters including myself. The other guy shoots a "CZ Sport" in 9mm tuned or should I rather say manufactured by "Oschatz Waffen" as mentioned above. Although in IPSC the "CZ Tactical Sport Orange" guns have gained a lot of traction with the more serious shooters. But on these guns there is nothing to improve. They are race- ready from the factory. The other CZ- users shooting the lower price range models are mostly looking for a cheap gun to shoot cheap ammo. Don't be afraid of me starting a mass production run and compete with you for the EU- trigger pin tuning market. This is not my business. But if I was interested I would buy the original pin in bulk and set the lathe up to just modify them the fast way. I may be completely wrong but the area where the trigger touches the pin there is the only place where considerable friction happens. And there is only extremely soft aluminum touching the pin. So wear due to friction should rather effect the trigger and not the pin. But again I may be wrong and the wear pattern is a totally different one. You should know best from practice which material is fit. anything new about the availability of CGW parts anywhere in Europe? Email and phone number are listed and we have so far been pleased with his follow up. Thank you. So this distributor would send parts directly to the end user? This is prohibited in my area. Deliveries have to be strictly to a licensed gunsmith or licensed gun merchant. Anybody you could recommend in Austria?